Happy Friday, My Lovelies! As our daughters have gotten older, I'm not reading as many YA novels. The reason I've read so much YA is because I enjoyed discussing books with my girls, and that's what they were reading. Now they're reading more "new adult" and sometimes I read along with them, but they're so busy with their studies it leaves little time for them to read for fun. 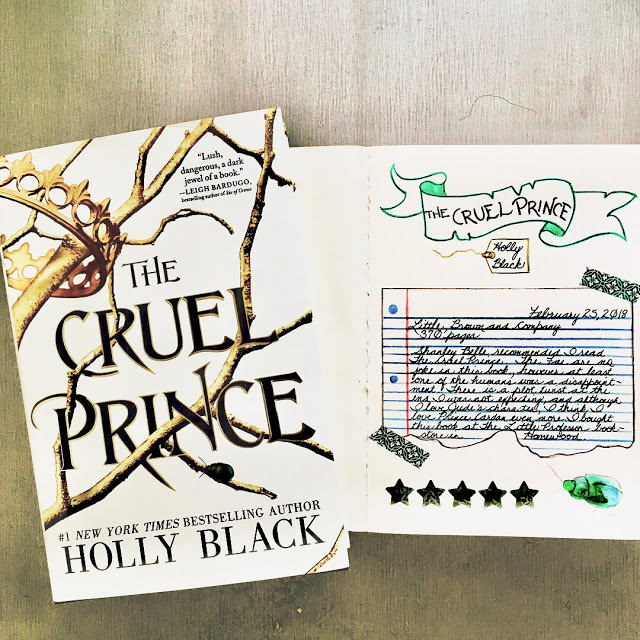 I read The Cruel Prince by Holly Black during the winter, but I keep forgetting to write about it here on the blog. Both of our daughters love Holly Black, but each loved a different series, so I've read many of her books. ;D I enjoyed The Cruel Prince so much because it's so well-written, and it's understandable why Holly Black is one of the best YA writers. The photo above is the first entry in my new reading journal, and as you can see from the date, I'm a wee bit behind on blogging about my reading, but I'll catch up, no worries! If you enjoy books about the fae, then you will love the kingdom Holly Black has built in this book. I also love that mortal Jude wants to be recognized at the High Court of Faeire for her skills in the hopes that she will be chosen as a knight. She diligently trains, and she makes a few daring choices to get noticed by powerful members of The Court. This is shocking to me especially in light of the circumstances of her parents' brutal murders. As interesting as the characters are, the plot is what totally kept me entranced. There are many plot points I was not expecting, and I read this book quickly over a couple of days. If I hadn't had life interfere, I probably would've read it in one sitting. 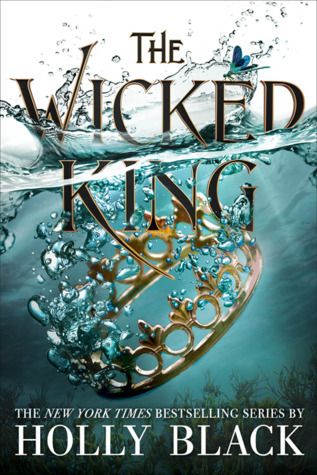 Jude's relationship with Prince Cardan and how each views the other is interesting to say the least, and the book ends with many more questions than answers. I'm already very impatient waiting for Book Two in what promises to be the best YA series I've ever read. The Cruel Prince is Book One in The Folk of the Air series. This is the beautiful cover of book two in the series, scheduled for release January 8, 2019. 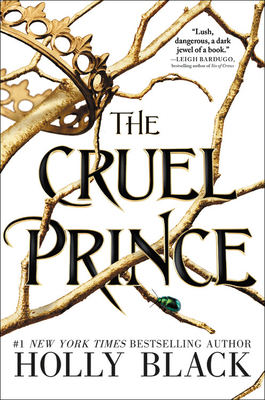 Below is an IndieBound affiliate link for purchasing The Cruel Prince. This does sound like a good series for YA. With no kids of that age, I don't think I've read much YA since I was a YA! Maybe I should branch out. But the stack is so tall! I used to read the books with my kids as well. I actually really enjoyed YA novels. I should pick one up again...for me! You read the most unusual books! Your girls were so lucky to have a mom who read along with them!